Truespoke® wire wheels have been a favorite of Neo-Classic, Replica and Kit Car owners since 1974. Often used by leading brands as original equipment. Let us supply the exact wheel you need at the best possible prices. Please call us at 760-731-8301 or email us to discuss your requirements. 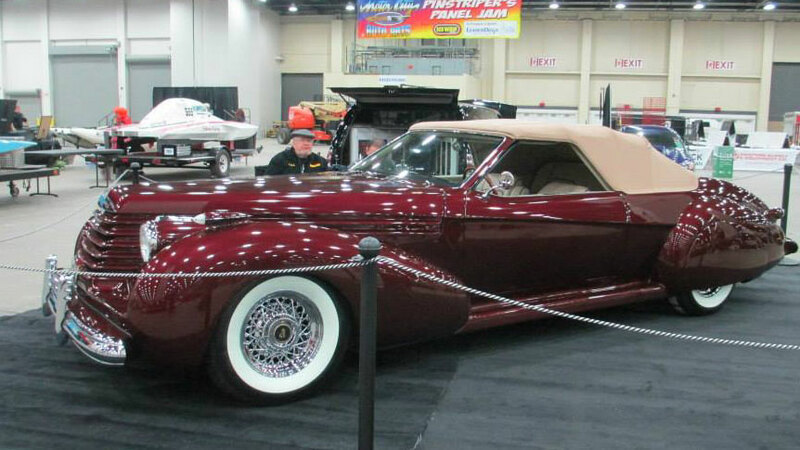 Hall of Fame Customizer, John D'Agostino called on Truespoke for wheels for his show-winning Stutz Bearcat Custom. These same wheels are available in 13-18" diameters with round caps or spinners. Auburn Boat-tail Speedster by California Custom Coach uses our Tru=classic style wheels with 56 spokes. These wheels can be built in sizes from 14" to 18" in diameter. This is Mr. Bill Kingwell's fascinating automobile known as an Alti. 56-spoke classic cross-lace Truespokes were selected with wide whitewall tires. Custom-built 17 X 7" 50-Spoke Truespoke wheels on John D'Agostino's fabulous Stutz show car. Kelsey Hayes style wire wheels. Custom sizes are available. a round, 2 or 3-bladed knock-off style cap. This Auburn Speedster replica belongs to customer Hal Engstrom. The wheels are 15 X 10 inch, Cross-lace 56 spoke Truespokes, standard pattern. The wide whitewalls are 3.75 inches wide. The engine is a rare 406 cubic inch Ford with multiple carburetors. Craftsmanship is excellent. 1983 Avanti with Truespoke 56-spokes. Mr. Keith Rider drove in this immaculate '83 Avanti and has us mount up a set of our 15 X 6" Lip-lace wire wheels.